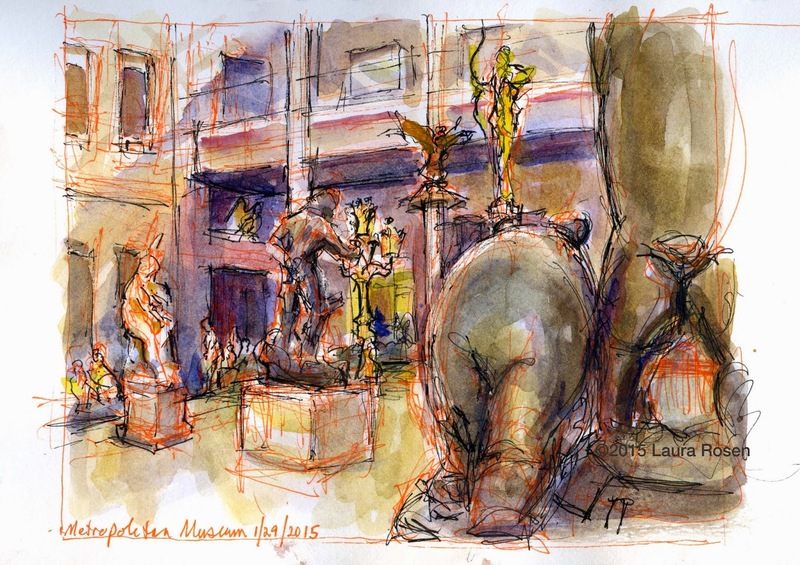 Nothing beats the Metropolitan Museum for winter sketching. 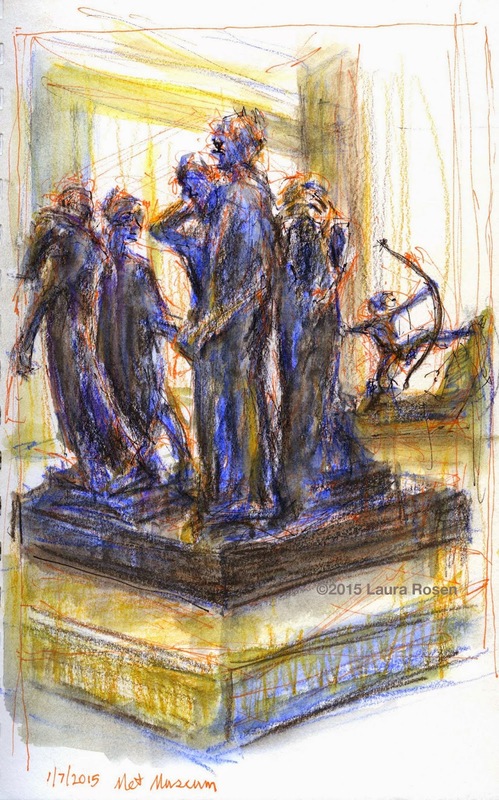 The first sketch I did on Saturday was of Rodin's The Burghers of Calais with Bourdelle's Herakles the Archer in the Background. This was done with water soluble pencil and Micron pens. 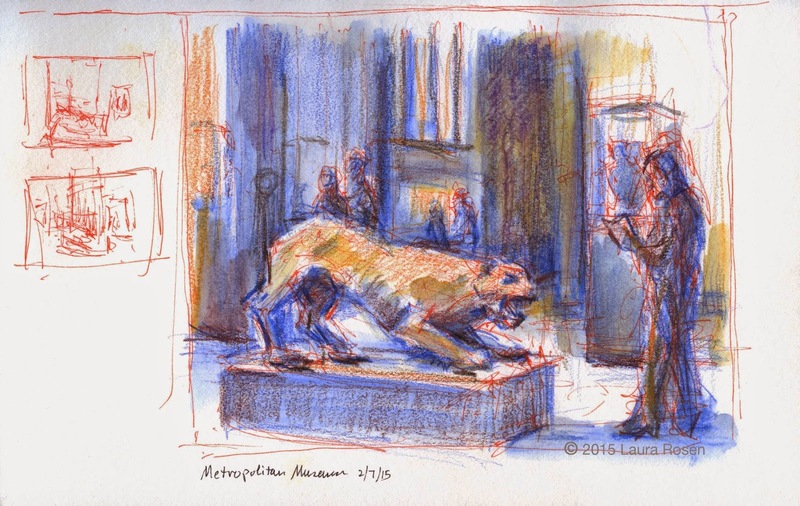 The Greek lion roaring at a museum visitor studying a map was done after lunch, again with water soluble pencil and Microns. The view from the Met's American Wing Cafe was done a couple of weeks ago. Sitting at a cafe table, I was able to use watercolor and Micron. Laura, you have a great style of sketching and each of these is wonderful.